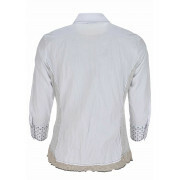 Just White presents this quirky white cropped sleeve blouse which would look great worn with dark denim jeans to create a preppy look. 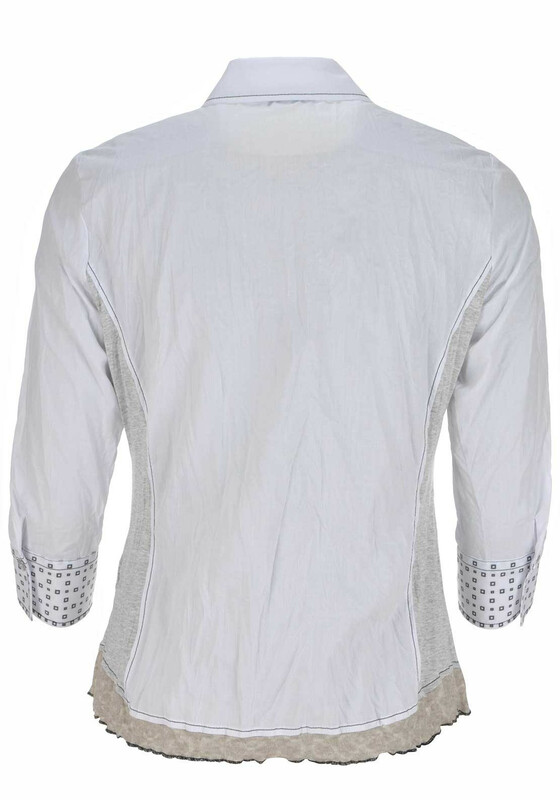 Crafted from lightweight crushed cotton blend fabric with grey jersey panels at the sides. 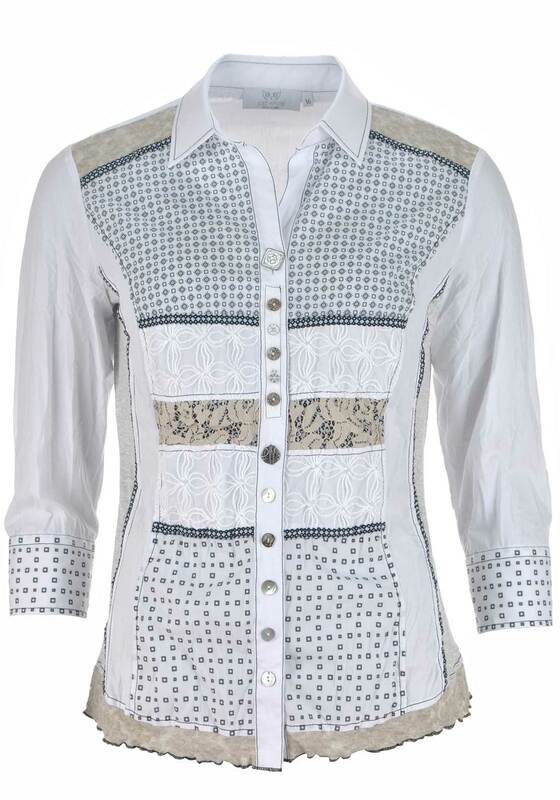 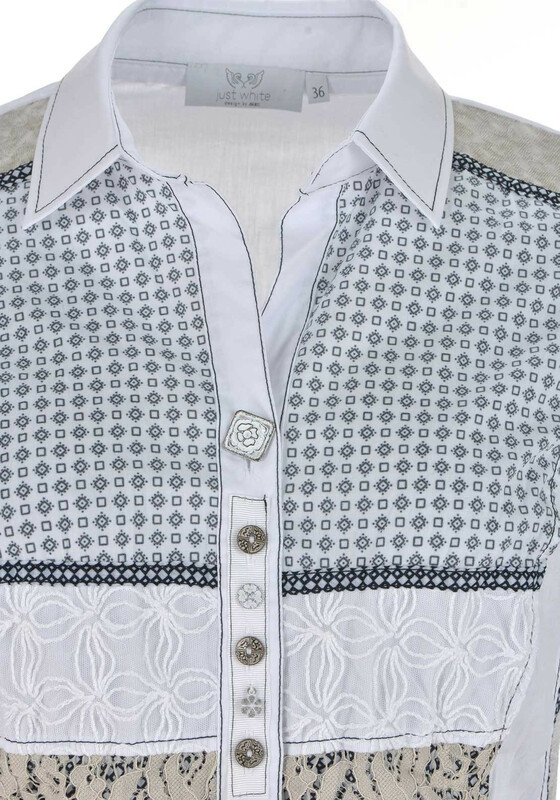 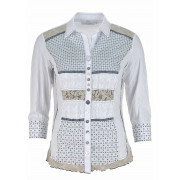 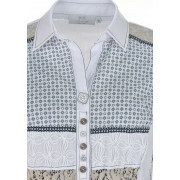 Featuring a number of geometric prints throughout and eye-catching buttons.